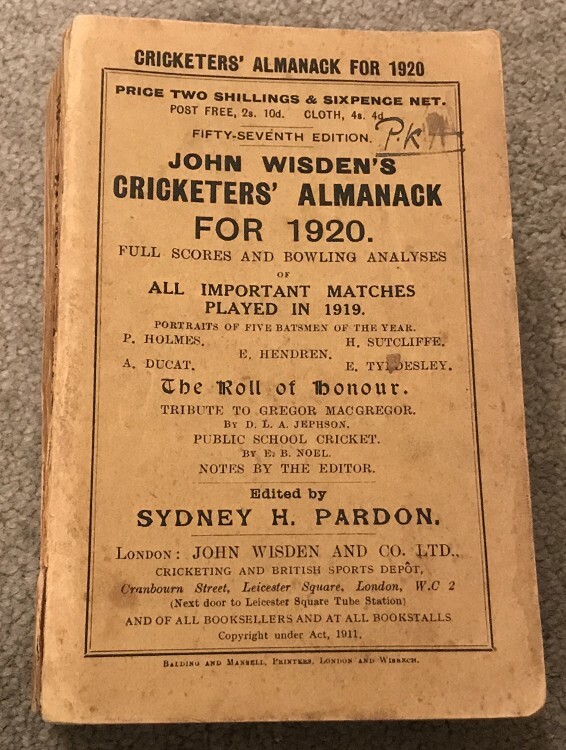 This lot is an 1920 Original Paperback Wisden. It is in OK Condition. The front cover is very nice, ink initials, the rear cover has a fewn nicks and the spine has a line appearing but still bound OK, wear to spine paper at the edges. Some marking to the first inside page but OK internally, it is a bit shaken and feels read.